For many families fixed air conditioners became common. They keep you relaxed during the day and can help you to sleep at night when there are hot spells. The home air conditioning units we install are really energy efficient and quiet as the energy savings are so important. 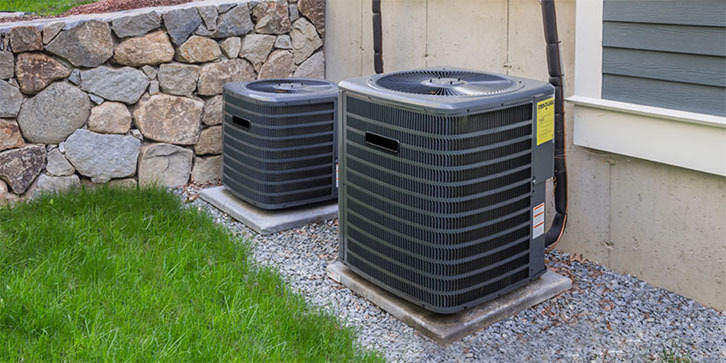 There are many factors to take into consideration while you are selecting a home air conditioner. The number of rooms, dimensions, layout and aesthetics are all important as well as the cost implications. Manufacturers worked hard to create a wide variety of models and systems that look very pleasing in the home, and some units can seem virtually invisible in a room. We provide a free site survey no matter how big or small the job. All surveys are carried out by our experienced Jupiter Air Conditioning And Heating engineers who can tackle even the toughest of domestic air conditioning installation. They are probably the most common units used in a residential environment. Here it’s important to mention about two main advantages. First, wall units are always the cheapest option to install. Secondly, it’s very easy to retrofit them in rooms without the need for building works or redecoration. They are thin and long, besides they are placed at a high level on the wall. Like all the models designed for homes, they are also exceptionally quiet. You ought to avoid air conditioning models over 8kW in power. Those models are designed for commercial applications and can be noisy enough. Our surveyors will make sure you get the best solution for your home. As a rule a single wall unit can cool most rooms, but larger rooms often need an additional unit. There are also premium models of wall mounted home air conditioning units. They are a little more expensive; however, they are superb looking units. Systems are the most expensive choice, but they are certainly the most aesthetically pleasing solution. People use ducted home air conditioning systems to cool multiple rooms. However, the thing is that the downside you cannot have individual room control. The ductwork and cooling unit(s) are hidden within a false ceiling or loft space, so all that you see is a small neat grille in the ceiling. There are various grille designs available which suit different shapes and sizes of room. Our surveyors will talk you through the various solutions, so you’ll achieve the exact look you’re after. Please note that these are best fitted as part of a building project as they require a ceiling void to house both the ducting and the air conditioning unit itself. Many people use them in conservatories and loft conversions because they are ideal for ‘dwarf-walls’, however, they are suitable for any room in the home. However they are much more expensive than traditional wall mounted home air conditioning units. In spite of that customers prefer them. As far as with radiators, they are placed out of their line of sight. Besides low wall-mounted air conditioners are similar to wall mounted units. Though, they are usually placed at a low level on the wall. If you are interested in having low wall-units, turn to Jupiter Air Conditioning And Heating. Our surveyors will design a suitable solution for you.